There are so many tattoos out there, decorations for the skin. I like tattoos that stand for something, and love the idea of a tree which follows the back, spreading roots and branches as a well-centered person would. A tree can withstand so much, yet flex--like a beautiful woman. 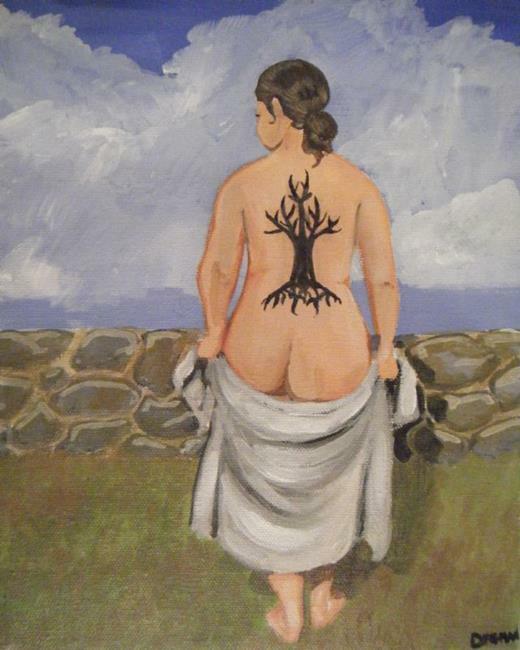 I wanted a smooth, clean canvas, and so chose the delicate yet broad back of a woman. Painted in an uncomplicated fashion, I hoped to showcase that smoothness, even with the introduction of body art to the model.